In the world of competitive sports particularly, it’s nearly impossible to not get injured in some way, shape, or form. There’s probably some sort of ice thrown in a bag, given to you, and wrapped to the abrasion to help with the pain. If you’re an athlete, then you’ve surely heard this story before. 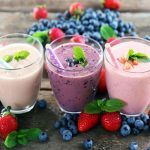 As much as ice is an essential part of the healing process, its true function may very well differ from what you may think. Ice is ideal for more painful injuries that come with lots of swelling. The temperature of the ice slows the blood circulation in the area to reduce the pain and spasming of the muscles. For major injuries such as a sprained ankle or re-injuring a previous injury, ice tampers down the inflammation and helps numb the pain. Rather than help ‘heal’ the injury, ice deals with the physical effects of having sustained the wound. It’s important to apply ice packs to serious injuries in order to avoid joint and tendon pain. Reusable packs are also easy to manage, don’t drip nearly as much (if at all) like their ziplock bag counterparts, and can be re-cooled at any time of the day. Injuries begin to heal when blood rushes to the affected area, which may cause it to bleed, in order to form clots. This process prevents germs from infecting the wound. From here, the immune system kicks in to further protect and heal the wound. Throughout this process, it isn’t ice, but rather heat and nutrients from the blood, that are used to heal the injury. The differences between the functions of heat and ice are very different, yet both are essential to the healing process of an injury. When deciding to nurse your injury, it is essential to keep in mind what exactly it is you want to achieve and the method with which you want to achieve it. 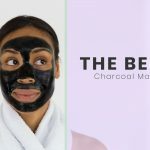 If you would rather have the injury heal a little faster and it doesn’t give you tremendous amounts of pain, then applying a heating pack would be effective. However, if your goal is to tamper down the pain and reduce swelling in the area, an ice pack can definitely benefit you. Using an ice pack to the best of your advantage involves a common series of steps. 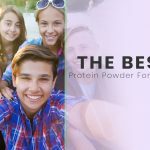 Keep in mind it is nearly always recommended to have a cloth between your skin and the pack to prevent freezer burn or further agitating the skin. With consistency and proper use, you can manage the injury easier and smarter. The acronym describing the principle of caring for your injury is called RICE, which stands for Rest, Ice, Compression, and Elevation. These four components make treating injuries a faster process and ensure that those who are treating the injuries do so correctly and efficiently. Rest – Rather than ceasing activity altogether, it is essential to not bring any further damage to the injured area. Not moving at all could actually be a detriment to the injury, as conditions such as muscle atrophy could arise. Movement without pain can be a positive for the healing process. Ice – Any injury with pain or swelling would benefit from icing. Ice should only be applied for around 15-20 minutes at a time to prevent ice burn. Allow anywhere from 40-60 minutes between icing periods. Reduce the icing time to around 10 minutes if placed on softer tissues (i.e., neck, hands, groin, etc.). Compression – Combined with the icing aspect, compression does wonders for reducing swelling. For injuries involving your muscles or skeleton, compression can also be very beneficial. It should be continued all throughout the day and removed at night. Elevation – To reduce internal bleeding, elevate the injury above the heart. This also prevents any fluid pooling in the area. As long as there is swelling present, it should stay elevated, even at night. FlexiKold’s formula allows for the pack to remain colder for a longer period of time. Even at very low temperatures, the gel inside this ice pack can conform to any body part you put it on, making application very convenient. TheraPAQ is very beneficial if you’re looking to ice entirely around a limb rather than just one side. Since it is not too big, it can be more accurately placed on the affected area. It helps to remove pain and to restore full movement back into the affected area. Its design allows it to be safety secured to places such as the hip, shoulders, and knees without being uncomfortable. ACE brings true comfort to your sprains, bumps, bruises, and any other injury you may have. If you are someone who is normally busy, this pack is a perfect one to grab on the run. This reusable ice pack is perfect for those who are used to the feeling of a bag of peas or traditional bag of ice. The latex-free, cotton fabric is waterproof, which prevents condensation from leaking through. The cloth backing also takes some of the cold temperature’s intensity off, to bring you comfort wherever you may place it. Although these do warm faster than others due to their size, there are multiple to rotate around, ensuring your pain stays at bay. 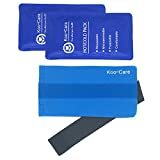 One great thing about this set of ice gel packs for injuries is that it comes with a cloth covered sleeve for the chilled or heated packs to go into. 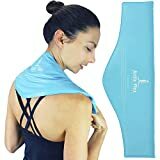 This eliminates the use of a towel to mitigate the intensity on the skin. One of the best things about the size of this one is the ability to walk and move about freely with it on. 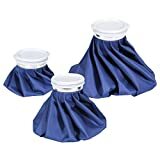 You can use it for large areas of the body, unlike traditional ice packs. This pack targets pains, sprains, muscles, and bruises to bring you cool comfort. It’s comfortable on your body even at low temperatures. These packs are ideal for joint and stomach pain, fevers, and any sports injuries. This ice pack also has a quick turnaround time for usage, as it only takes a couple of hours to cool and it can be used for around half an hour. Unlike your traditional bag of peas or a bag of ice, this ice pack has a nylon exterior and double sealed seams to prevent any leaks. FlexiKold’s formula allows for the pack to remain colder for a longer period of time. Even at very low temperatures, the gel inside this ice pack can conform to any body part you put it on, making application very convenient. Many physical therapists around the USA rely on this brand for its professional quality. Its durability lets this cold pack last for hundreds of cold treatments. Bringing this professionalism into your home will surely benefit your health. 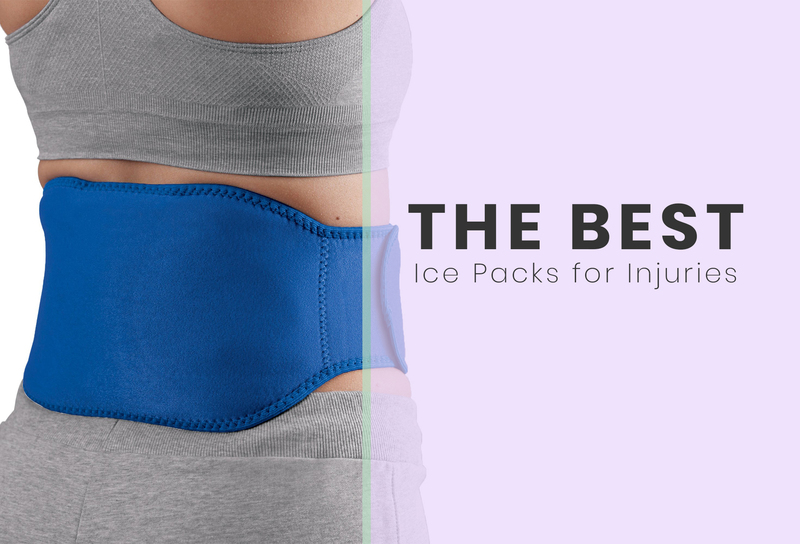 Looking for ice packs for injuries in the lower back area? The shape of this ice pack combined with the elastic band brings cold pressure to that area to calm inflammation. TheraPAQ is very beneficial if you’re looking to ice entirely around a limb rather than just one side. Since it is not too big, it can be more accurately placed on the affected area. The belt that comes with this ice pack is adjustable to your body type, so it can secure safety to your injury without moving. 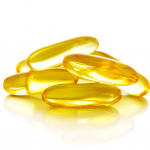 It can be used for general aches, pains, and for recovery after sicknesses. Use this leak-proof, secure ice pack if you’re wishing to concentrate cold (or heat!) on one small area of your body for best results. 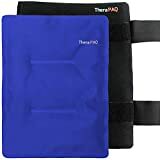 The size combined with the straps is extremely effective in securing the pack to the injury, making it one of the best ice packs for sports injuries. You can use the pack for either heat or cold, depending on what your body needs. It helps to remove pain and to restore full movement back into the affected area. Its design allows it to be safety secured to places such as the hip, shoulders, and knees without being uncomfortable. Although this comes with a sleeve to put on the skin, because of how cold the pack itself can get, those with sensitive skin may still deem it to be too cold for comfort. TheraPAQ recommends putting the pack in the freezer for at least two hours and apply for 15-20 minutes at a time. While it is essential to adhere to these rules, be wary if you are not a big fan of a constant strong chill on your skin. 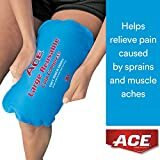 ACE brings true comfort to your sprains, bumps, bruises, and any other injury you may have. If you are someone who is normally busy, this pack is a perfect one to grab on the run. Due to these packs being primarily about making you comfortable, ACE also employed a soft to the touch exterior for easy handling. These soft ice packs for injuries are also designed based around RICE recommendations, meaning that the pack will only stay cool for around minutes. Due to the way it was created, the pack will never be as cold as the fridge (don’t put this one in the freezer!) you put it in. It’s engineered to only retain enough cold to make your skin comfortable. This reusable ice pack is perfect for those who are used to the feeling of a bag of peas or traditional bag of ice. The latex-free, cotton fabric is waterproof, which prevents condensation from leaking through. On top, the moisture inside is well sealed with a cap via a secure lock system. Due to the shape of the bag and the fluids inside, this pack can and will mold to your skin. 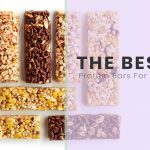 These are also very suitable for kids, as they are not as cold as ice packs. You can use these for hours on end since all they need is a source of ice to keep cool. Perfect if you have sensitive skin or simply dislike having to wait between periods of re-cooling. If you’re looking for something simple to use and reuse without having to wait, this might be your solution. These reusable ice packs for injuries are ideal if you’re looking to cool a smaller area of your body. The cloth backing also takes some of the cold temperature’s intensity off, to bring you comfort wherever you may place it. Although these do warm faster than others due to their size, there are multiple to rotate around, ensuring your pain stays at bay. Unlike normal sized packs, these are tiny enough to go on your eyes, private areas, ears, etc. You can even use these packs on kids for bruises that they may have. It also functions as a heat pack, and can last for a similar amount of time. If you’re looking to really pinpoint your pain, then these smaller packs could work to your advantage. 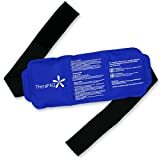 One great thing about this set of ice gel packs for injuries is that it comes with a cloth covered sleeve for the chilled or heated packs to go into. This eliminates the use of a towel to mitigate the intensity on the skin. It’s also very portable, making it great for long trips and other travels, great for injuries that require constant attention. The two packs can be rotated in and out of the freezer when not in use to ensure you always have a cold pack. These are very versatile, as you can use them for heat, too. Say goodbye to headaches, swelling, and stiffness with these multi-use ice packs. If you’re looking for where to buy ice packs for shoulder injuries, look no further! One of the best things about the size of this one is the ability to walk and move about freely with it on. You can use it for large areas of the body, unlike traditional ice packs. This pack targets pains, sprains, muscles, and bruises to bring you cool comfort. Each ice pack is made with vinyl, which is resistant to tearing and leaking, and it stays cold for much longer than you’ll need it on (as the average amount of time is 20 minutes). With this ice pack, you’ll have a soft, gentle, and versatile way to decrease inflammation from your aches. If you’re looking for multiple ice packs that cool easily, these just may be your type. With two ice packs included rather than one, it’s easier to keep the ice packs in rotation. It’s comfortable on your body even at low temperatures. These packs are ideal for joint and stomach pain, fevers, and any sports injuries. Don’t worry about movement in these secure ice packs. Included are two velcro straps and an additional extender. The weight of these packs allows for high comfort and conformability to the skin. Due to the nylon material and gel inside, it remains extremely durable after many uses, an essential for the accident prone! Chattanooga ensured this ice pack to be safe for people for all ages by filling it with non-silica gel and making it latex free. It brings soothing cold to your injury or wound for up to thirty minutes. This ice pack also has a quick turnaround time for usage, as it only takes a couple of hours to cool and it can be used for around half an hour. Due to the various sizes available to choose from, Chattanooga is a great option if you’re looking to wrap this around a foot, leg, arm, etc. Even with daily use, this ice pack stays consistent in its performance and will continue to remain pliable throughout its life. Although there is also some extra weight with this ice pack, it’ll conform nicely to support your body. Icing injuries can be very easy and convenient if you choose the right product and use it healthily. As long as the ice is used properly, you could see huge differences in your wound. With proper use of the RICE method, you can easily reduce the inflammation within the area. Depending on the severity of the injury, you may need to alter between heat and ice in order to get more blood flowing to the injury while you reduce the pain. Also, do not forget to take into consideration your skin type. If it is too sensitive to temperature, opt for packs that are not so strong on the skin. Disposable ice packs for injuries do exist, but it is much more cost effective to get a reusable one, especially since it is inevitable that we will feel pain or even get injured while we exercise. However, this does not mean that we should go without knowledge of proper treatment. By combining cold and heat to treat injuries we sustain, we can keep the abrasion in check and ensure it heals as fast as possible. In order to avoid further pain and swelling, try getting an ice pack to help! From aches to headaches, you’ll surely reap from its benefits.